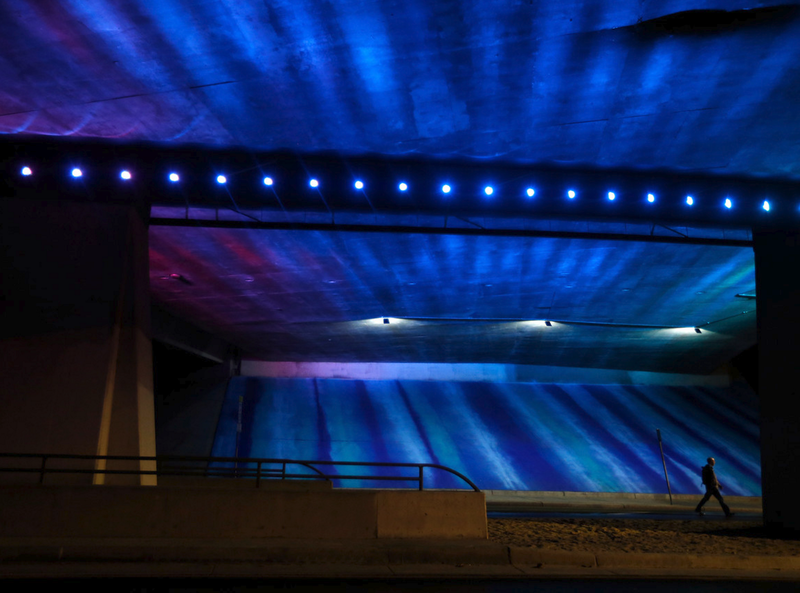 One of the largest public art projects in Downtown San Jose has finally been completed. 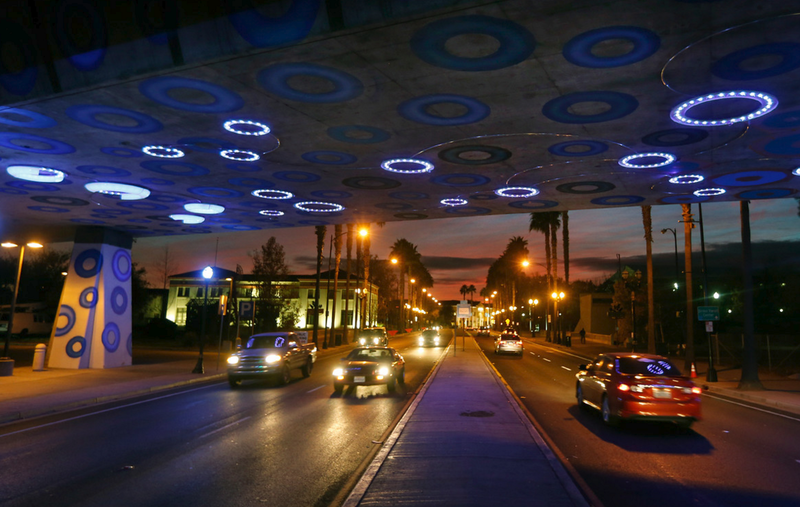 Many Downtown residents and visitors have been noticing the hundreds of blue circles underneath Highway 87 over the past couple months. The initial feedback when the project was in progress was a bit underwhelming; however, I'm pleased to say the that end result turned out quite well as you can see in The Merc's photos below. This was all part of a $600,000 from ArtPlace America to illuminate Downtown San Jose and bring more art to public places. 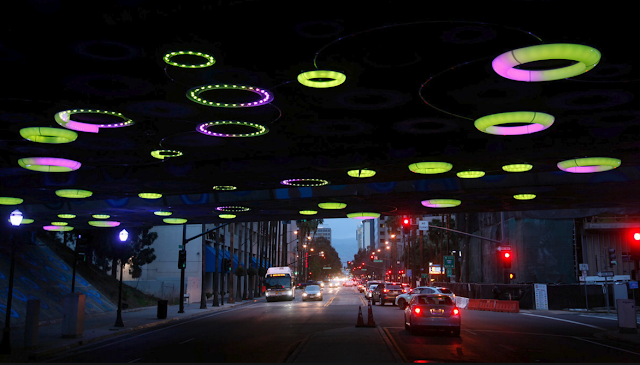 San Jose-based Philips Lumileds also donated the LEDs used in the installation. 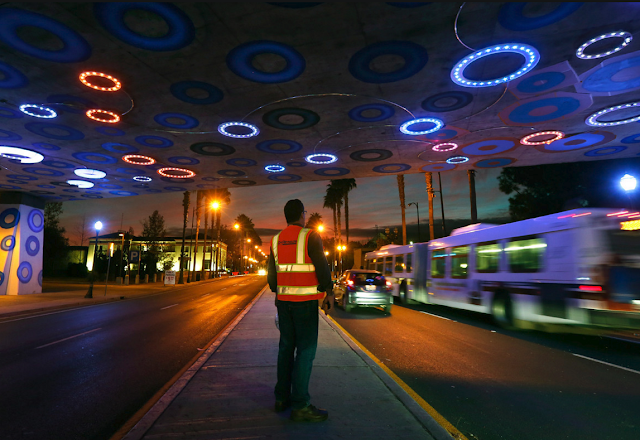 "Sensing You" is the name of the project at Highway 87 and Santa Clara street. Every time someone walks or bikes through that underpass it will incite a reaction from the LED lights above. 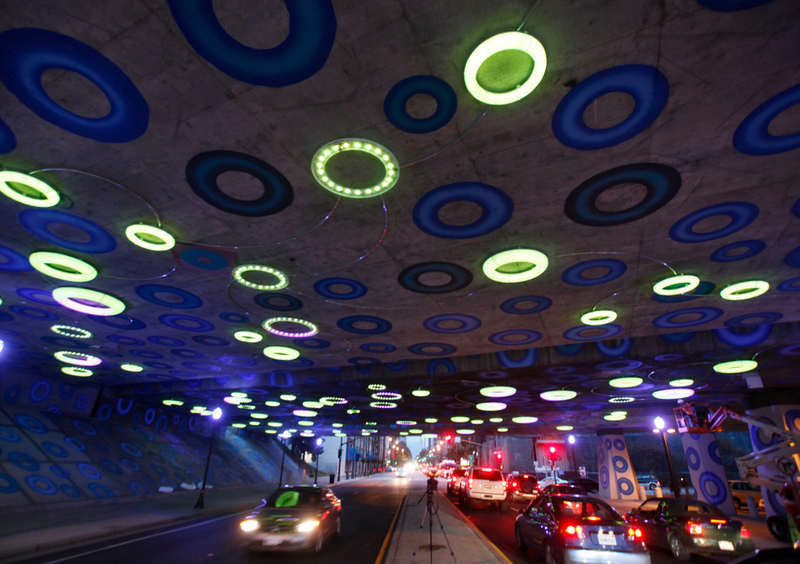 The more people that walk through it at the same time, the more dynamic the lights will become. There are up to 35 different "light reactions" that can be triggered. 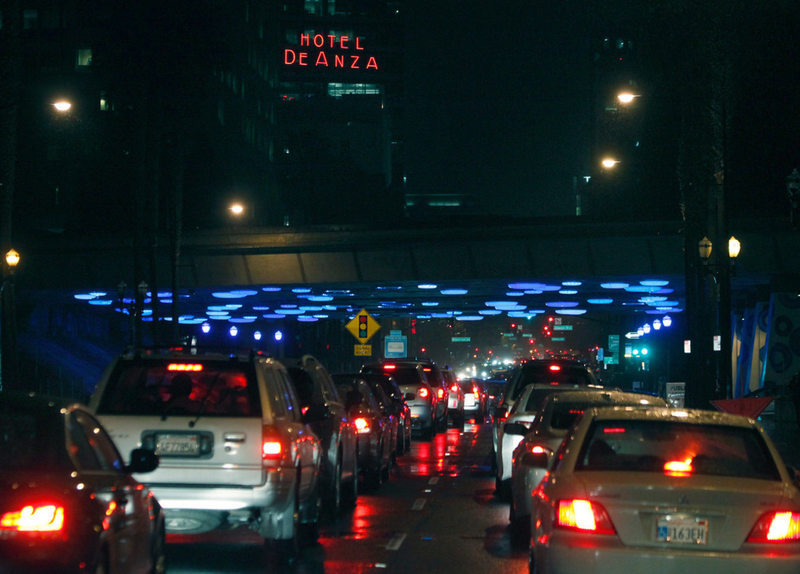 A block away at Highway 87 and San Fernando there is another installation called "Sensing Water." Here you have paintings of water on both sides of the underpass and on the ceiling that is lit with blue LEDs. I'm thrilled to see these projects go live. First off they are turning bland, uninviting, and sometimes even scary underpasses into interesting works of art. Second, they are helping build up a sense of artistic identity for San Jose. I have always felt that we should try to differentiate our artwork with projects that are digital, dynamic, and interactive. Those traits go hand-in-hand with the branding of Silicon Valley. The "Sensing You" is a great example of what we need more of in San Jose, and I hope it will inspire other projects not just in Downtown but throughout the city. They are very cool! 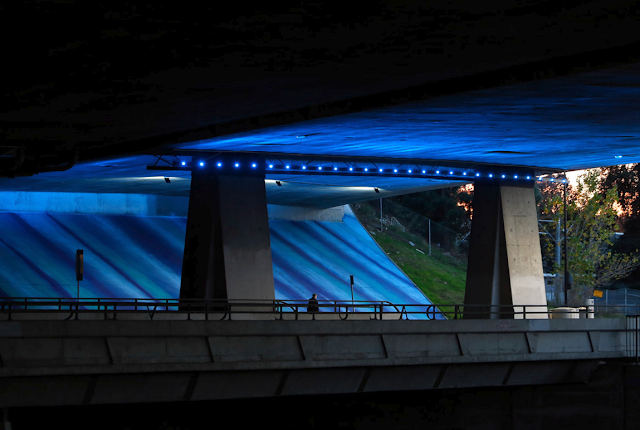 Although what happened to the San Carlos St/87 overpass? I remember it being part of the initial plan as well but nothing now.